The Google Sandbox (also known as aging delay) is the theory that new website rankings are temporarily reduced placing them into what is known as the sandbox. Release of these websites out of the sandbox can take days, weeks, or even months; placing various new websites at an extreme disadvantage to the competition. One of the primary reasons for new sites into the sandbox is due to blackhat practices. These include creating duplicate content, keyword stuffing and bulk purchasing of links. All of which optimize a website, but do not create a targeted search. The result of these fake sites falling within page one or two page rank is an overall decline in the quality of search engine results. Consequently Google potentially places a restriction to weed these sites out and remain organized so users can find the exact information they’re searching for. RELATED: Will Google Panda Kill Cool 404 Error Pages? If you purchase an old or expired domain, Google will be less likely to place it in the sandbox since it has been used before. This can be a huge advantage when conducting business in a niche area as the need to be the first to market is tremendously important. Publishing a few pages at a time as opposed to the whole site at once can be advantageous. Google will see these and slowly begin to index them. As time passes and the website reaches completion, there will already be many pages indexed. 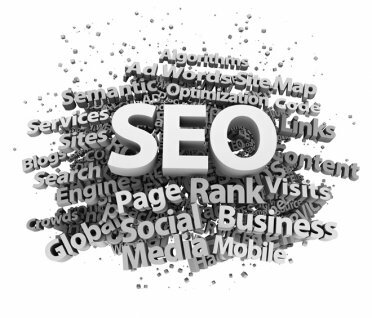 Although the site will be indexed, it’s unlikely to be in the first couple of pages by utilizing popular keywords. Consequently, utilizing less-popular keywords will result in the website ranking in the first few pages due to less competition. High-quality, new, relevant content combined with good links from reputable sources will significantly help with page rank. By gradually building links, the site could consistently rank at the top after a period of time. Links from .gov, .mil and .edu do not get filtered by Google and are excellent sources. Although Google Sandbox can hinder a new business, it’s not the end of the world. There are plenty of other search engines available while time passes to index a website at Google. With time, patience and good search engine optimization methods, your website could be at the top of the list in no time. Thanks for the info on the sandbox. I’m going to put into practice some of what you’ve said.